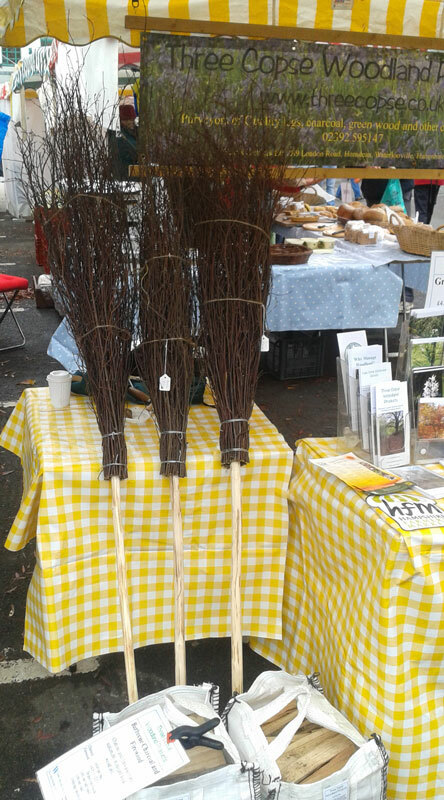 Made in the traditionally way our besom brooms are cut from our own Grown in Britain certified woodland here in Hampshire, made from hazel and birch our brooms are ideal both indoors and out for sweeping and cleaning, removing leave and other rubbish from grass or gravel, they also make a perfect pagan ornament for your shrine. Winter cut Birch is stored in the dark until seasoned and then combined with a hazel shaft to make the perfect broom. They come in a range of sizes depending on available material. Also available are ash pan brushes for cleaning out your fire or stove. If you are looking for a smaller broom for a shrine feel free to get in touch.